Consistent with the federal government's War on Poverty and its other initiatives aimed at providing equal opportunities, the 4th Legislature implemented a number of programs to assist vulnerable populations in Alaska. The Legislature authorized the Department of Health and Welfare to administer the federal Food Stamp Program and tasked the Rural Development Agency with administration of a state program to provide assistance to rural communities and their residents. It was also during this session that non-profit organizations such as Rural Cap became active in the state. In this spirit, lawmakers passed resolutions supporting the Governor's plan for development of economic opportunity and the war on poverty in Alaska, and backed federal education and health care initiatives. In other business, the Legislature established a central occupational and Professional Licensing Section within the Department of Commerce, adopted the Open Meetings Act, created the Alaska Commission on the Status of Women and the Alaska State Council on the Arts, authorized a state militia, and established the Alaska Transportation Commission and an Advisory Board on Alcoholism. Lawmakers approved the issuance of general obligation bonds for the construction and maintenance of regional high schools, and established the pupil transportation aid program, which reimbursed school districts for transportation costs. Along with other states, the Legislature enacted the Compact for Education, now known as the Education Commission of the States, as a means to exchange information and data with other states. Legislators also increased and made consistent the salaries for commissioners, district judges, legislators, legislative staff, governor, and teachers. In Alaska, seafood is the most valuable commodity followed by minerals. The U.S. government begins underground testing of atomic bombs on Amchitka Island in the Aleutians. 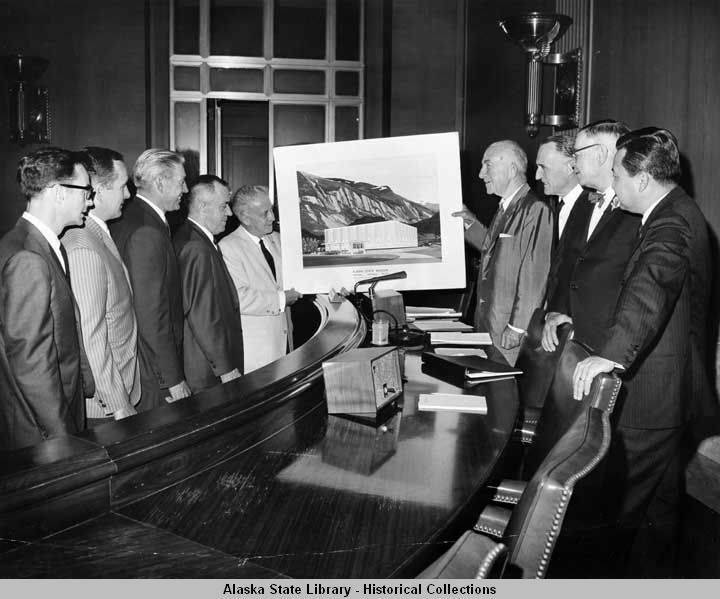 Alaska Federation of Natives organizes and Interior Secretary Stewart Udall imposes a "land freeze" to protect Native use and occupancy of lands in Alaska. President Lyndon Johnson signs the Uniform Time Act, which creates four time zones for Alaska and puts all of the state on summer Daylight Savings Time. President Johnson authorizes first U.S. ground combat forces in Vietnam. Congress establishes the Department of Housing and Urban Development. Federal education funding is denied to 12 school districts in the South due to violations of the 1964 Civil Rights Act.